This is the original proposal of Yankeetown Pond Project. The project went through a complete transformation after a dramatic protest by one of the residents. Read more about it in the updated project description. 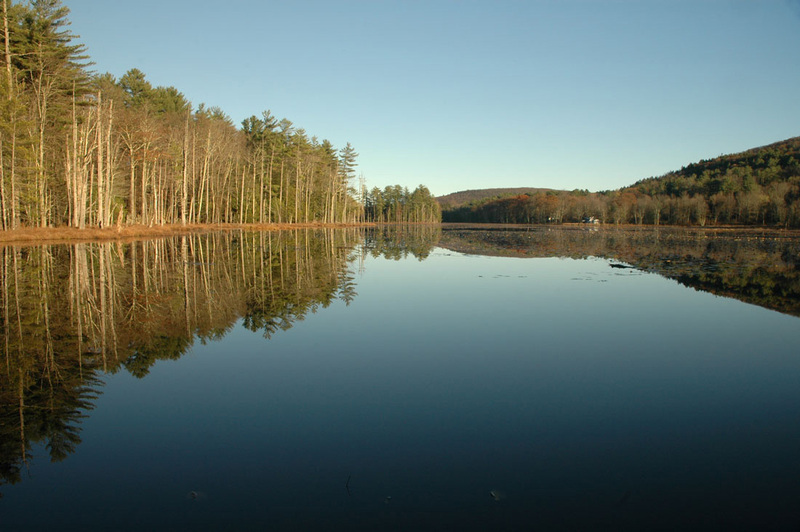 Yankeetown Pond is a large but shallow pond located in Bearsville, New York. It has been a place for nearby residents to enjoy canoeing, kayaking, skating, and fishing for decades. It has been a subject of numerous paintings and photographs. The pond is a habitat for many creatures including beavers, who have been shaping the pond each year. When the beaver dam is breached, the water level goes down; when the beavers are active, the level stays up. 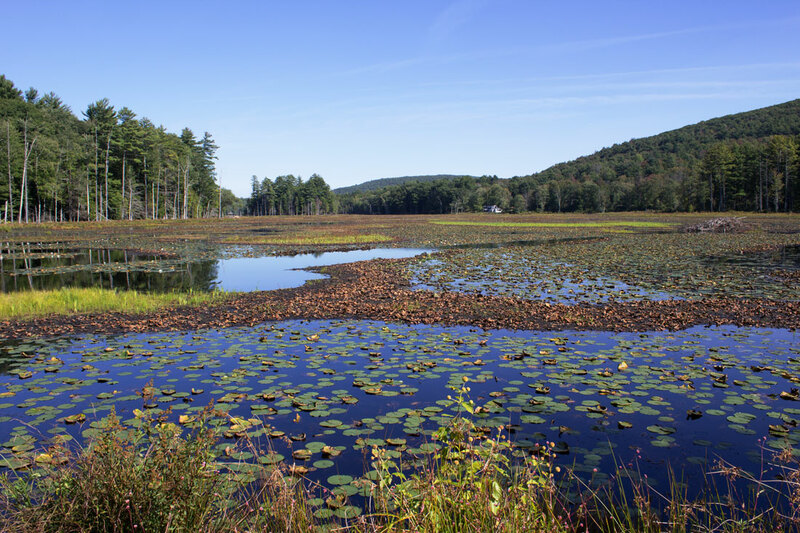 The pond, technically called a circumneutral bog lake, is also a host to many plants, aquatic and semi-aquatic, which also appear to be transforming the pond, quite rapidly and dramatically in the recent years. 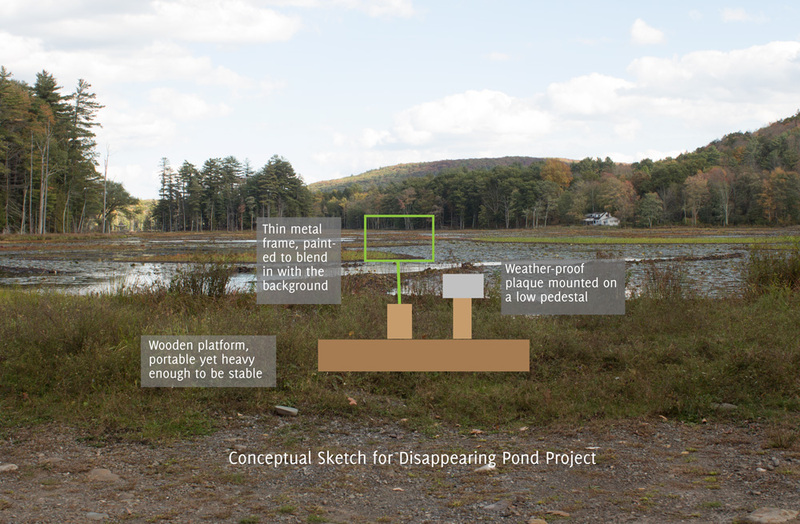 This project, currently in the final planning and fund-raising stage, follows the seasonal and year-to-year transformation occurring in this pond by means of photographs, shot from the same spot by participating residents and visitors, and collected into an archive managed by the project team. The plan involves constructing of a removable platform upon which an unobtrusive metal frame is erected, placed in an optimal location for visitors to snap a photo through, with a phone, a tablet, a camera, or whatever device they may have. The frame will be flanked by a low pedestal, topped with a weather-proof plaque displaying information about the project, a request to contribute a photo to the project, and instruction on how to submit it to the collection. For those who have Instagram, Flickr, and Tumblr, this would be done by simply assigning the unique hashtag or tag, provided in the information. For those who don’t, the images could be emailed or uploaded to a dropbox. The images will be collected and shared on the project’s website as they come. 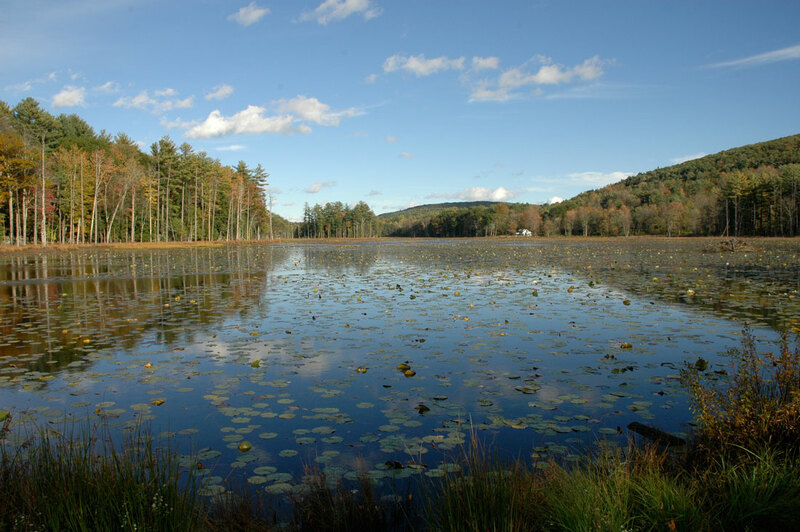 In addition to showcasing the photo stream, the website will offer ongoing columns with information about the pond, in various categories from historical, environmental, to possibly political (the land surrounding the pond is currently the subject of a contentious debate over hunting use). 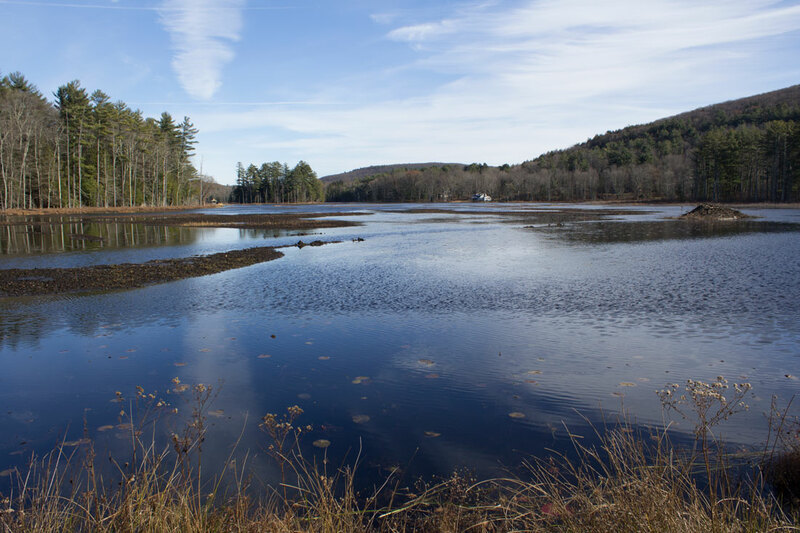 Collecting of images of the pond will also expand to the past; in addition to requesting past images from individuals, a research in local and online archives will be conducted. Not only photographs, but also paintings, drawings, and watercolors will be included. 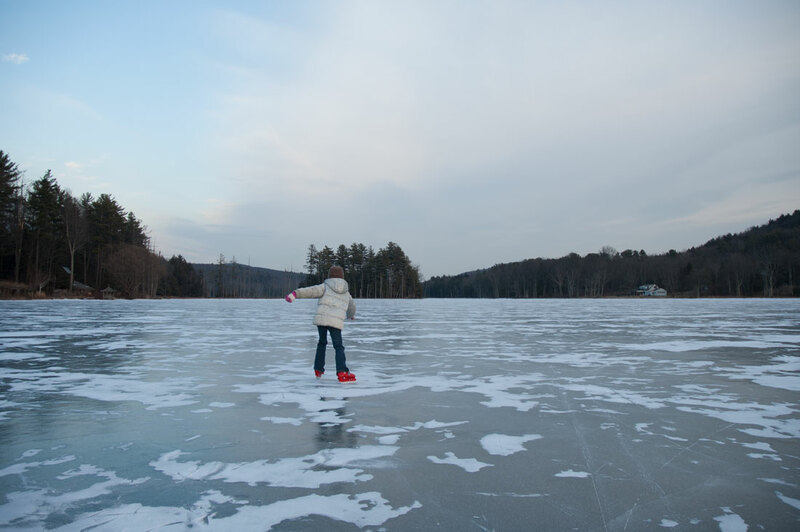 Images can include people, and those showing how people use the pond will be encouraged. A section of the website will be dedicated to personal stories about the pond. After a year, a selection of images will be created into a time-lapse video, in a style similar to my other video projects such as 110 Days of Winter. Unlike 110 Days, however, the source images will come from different hands and devices, creating a wide variety of qualities, moods, and sensibilities. The resulting video, I predict, will look more like a changing kaleidoscope than the subtle morphing of ice depicted in 110 Days of Winter. By the end of 2015, the first video work will be completed, and will be screened at a local venue, possibly with an accompanying exhibition of photos and texts. The goal of this project is multi-faceted. My simple goal is to enjoy watching the pond everyday, and to create a video work that satisfies my artistic pursuit. Equally important, however, is how this project could bring the community together. I suspect that many people have thought about similar ideas. It is hard not to notice the change this pond has been going through. My hope is that this project will make it easier for people to actively pay attention to this change, and to participate in preserving images and information of this shifting environment. The project is open-ended. It will continue as long as there is funding. Since this project offers interest to many different communities (artists, photographers, birders, environmentalists, scientists, residents, tourists, etc. ), it is my hope that interesting outcomes will develop as a result of this collective endeavor. At the very least, the project will highlight the priceless beauty of our environment, and celebrate our formidable ability to appreciate such beauty.